Due to the popularity of my first blog about Wild Dunes condos for sale under $400k, I decided to do a second. While the real estate market is on an upward trend which we know will eventually lead to a seller’s market, there is still opportunity to buy at a price we would not have imagined 5 years ago. Interestingly enough (without looking back), there are actually as many condos for sale under $400k now than there were when I ran the first blog about 6 months ago. So, here is what you have been waiting for….presenting todays Wild Dunes condos under $400k! 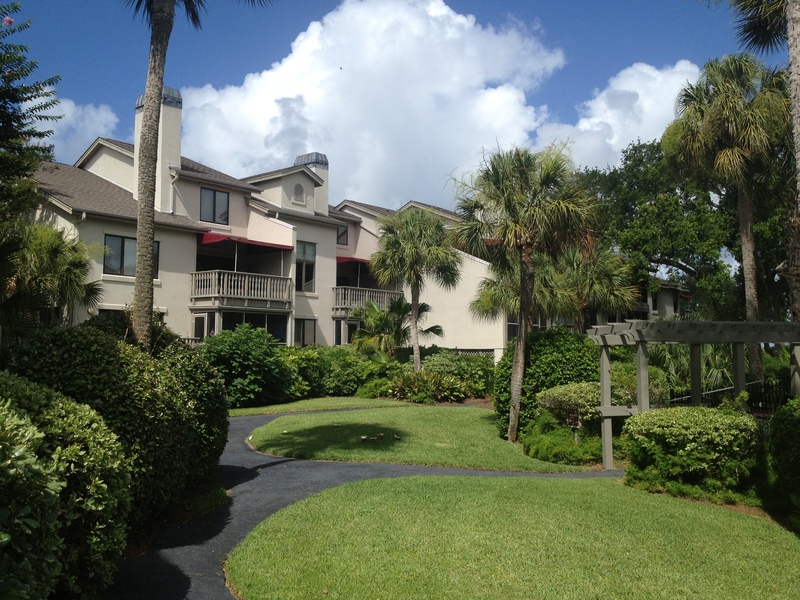 1222077 – Details: 410 VILLAGE AT WILD DUNES, #B410, ISLE OF PALMS, SC – $295,000 – The only condo listed under $300k. The Village at Wild Dunes is the newest complex in the resort. One Village Plaza you will find a saloon, fitness center, and grocery/restaurant. 1304862 – Details: 36 LAGOON VILLA, ISLE OF PALMS, SC – $319,000 – Lagoon Villa is located in the heart of Wild Dunes. Each unit in Lagoon Villas is approximately 1,218 square feet, with 2 bedrooms and 2 baths. Lagoon Villa is close to the Wild Dunes Tennis Center, Harbor Course Pro Shop, and shops and restaurants located at the Village. 1317831 – Details: 303 PORT O CALL, #G, ISLE OF PALMS, SC – $310,000 – This condo just hit the market and is the lowest priced in Port O Call by a significant amount. From this third floor condo you get views of the Atlantic from a great screened in porch. 1205554 – Details: 38 LAGOON VILLA, ISLE OF PALMS, SC – $338,000 – Owner is in the process of updating the kitchen with new cabinets, granite counter tops, new stainless smooth top stove and a built-in microwave. Work has begun and should be completed soon. 1309576 – Details: 301 YACHT HARBOR CT, ISLE OF PALMS, SC – $365,000 – Are you a boater or do you like boat watching? If so, the Villas at Yacht Harbor might just be for you. Located at the back-end of Wild Dunes, at the end of a quiet cul-de-sac, Yacht Harbor is a perfect for those who want to relax, away from all the hustle and bustle of the resort. My favorite feature of Yacht Harbor is the lush landscaping that surrounds the pool. 1112554 – Details: 103 PORT O CALL, #G103, ISLE OF PALMS, SC – $395,000 – These one bedroom condos and perfect for the small family, who wants to be on the beach. Port O’ Call offers a great pool and a private board walk out to the beach for owners and guest. Almost every condo has an ocean view and some are so close you can walk out onto the sand from your deck! 1308330 – Details: 503 MOORINGS, ISLE OF PALMS, SC – $395,000 – Have you ever heard of the Moorings? Most people haven’t. This is because they are hidden at the end of a quiet-cul-de sac that runs along Morgan Creek. While simple in nature, most units provide great creek views where you can watch boats come and go. 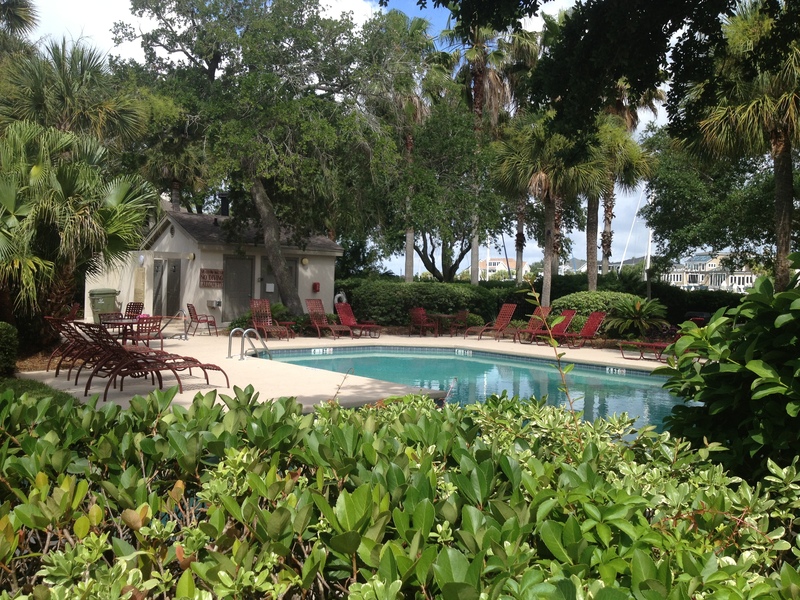 Owners and guest of the Moorings also have a small, but quiet pool to enjoy during the warm summer months. 1320765 – Details: 27 RACQUET CLUB VILLA, ISLE OF PALMS, SC – $399,000 – Perfect for the avid tennis player as they are steps away from the Wild Dunes Tennis Center Pro Shop and Courts. *condos are listed by various MLS participants. This entry was posted in Lagoon Villa, Moorings, Port O Call, Uncategorized, Wild Dunes Condos and tagged Good deals in Wild Dunes, Lagoon Villa, Port O Call, The Moorings, Wild Dunes Condos for Sale under $400k, Yacht Harbor. Bookmark the permalink.